In the realm of ill-fated innovations, dirigibles loom large. They were grand in size, floating mightily over cities and across oceans in the early 20th century, and also grand of vision—like a whole ocean liner aloft. Yet like many grand visions, they ended in disaster—or at least in a handful of flaming catastrophes—and now we think of airships as equal parts fantasy and folly. But innovations don’t always die for the reasons you think. 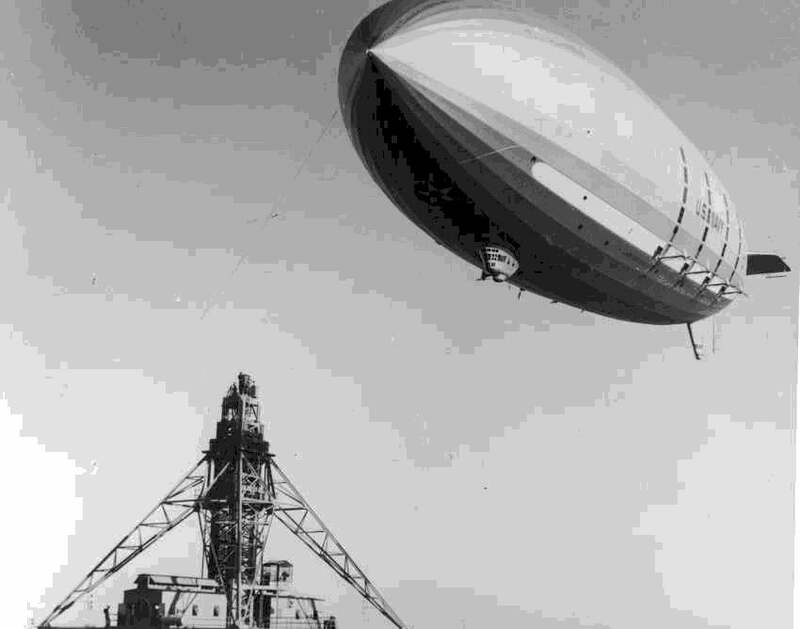 Author C. Michael Hiam of Newton has spent years researching the fate of rigid airships, and argues they could easily have survived through the 20th century. His new book, “Dirigible Dreams,” chronicles the brief, spectacular rise and fall of dirigibles, or zeppelins, as they were also known, and suggests that while airships would never have been able to compete with airplanes, they might still be around today, but for a twist of history. By the numbers, the history of airships is concise: From 1900 to 1940, there were 100-200 of them built, mostly in Germany, the United States, and England, but also in Italy. They were rigid structures made from aluminum girders and covered in canvas. Inside, they had individual cells that held the lifting gas, which initially and tragically, was flammable hydrogen. 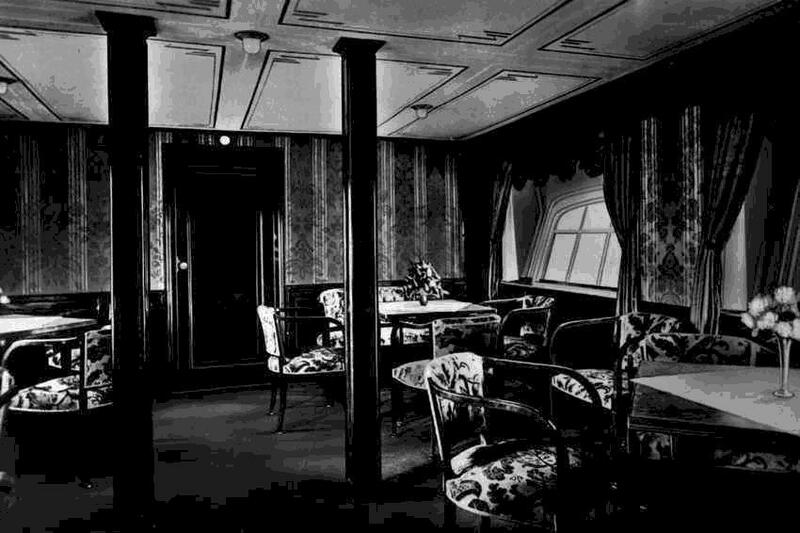 The early airships carried passengers and cargo in a suspended gondola, but later airships grew much ritzier, with accommodations, smoking rooms, balconies, and grand staircases that extended up inside their elongated bodies. They flew low, a few thousand feet above the ground, and their top speed was less than 100 miles per hour. That made them far faster than traveling by sea or land, and at a time when airplanes were still puddle-jumping, dirigibles could cover huge distances. In 1929 the German-made Graf Zeppelin went around the world in just four hops: Lakehurst, New Jersey to Friedrichshafen, Germany to Tokyo to Los Angeles and back to New Jersey. We think of the Hindenburg disaster as the end of airships, but at the time it was seen differently: the Germans took it as a call to innovate. 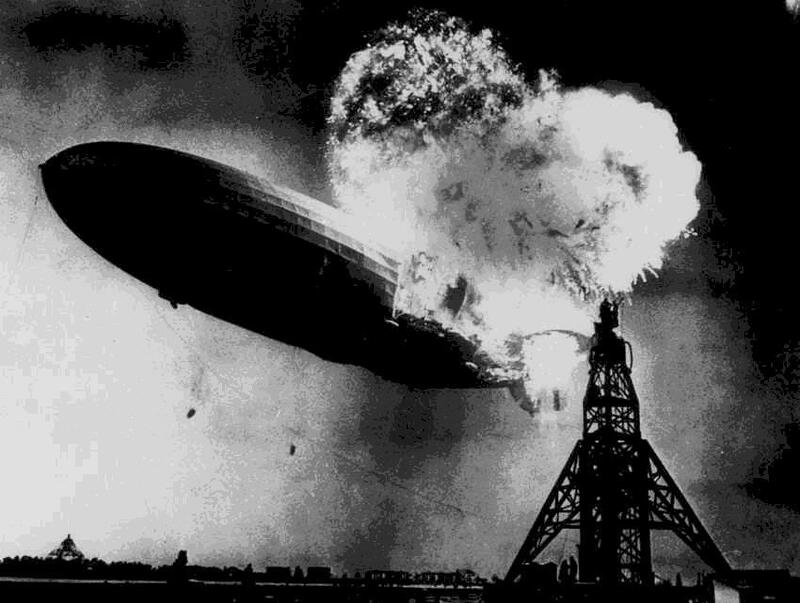 The result was a new design for airships that used helium, which is less buoyant the hydrogen, but completely inert and non-flammable - an idea “that would have ushered in a whole new era of airships,” Hiam says. Enter the twist of history: At the time (and still, today), the United States owned most of the world’s helium. The two countries struck a deal, one that would have led to “German-made airships filled with this nice safe America gas.” But when Nazi Germany annexed Austria in 1938, the United States cancelled the helium agreement. By the time the war ended, the superiority of airplanes had become clear, and there wasn’t much interest in rebooting the damaged airship industry. Without the war to interrupt its development, Hiam is confident things would have played out differently for the dirigible. “German airships would have evolved to meet the changing demand, and would have maintained a niche separate to the airplane,” Hiam says. You wouldn’t have flown on an airship when you needed to get somewhere in a hurry, but speed isn’t the only thing we look for in travel. It’s a striking thought to imagine dirigibles surviving well into the “Mad Men” era, maybe much longer, offering generations of Americans their own chance to float slowly over the Rockies, or the Atlantic, or just enjoy a leisurely cocktail party in the sky.